Rome is a city filled with romance - where citrus blossoms fill the air, where you find yourself walking in the footsteps of romantic poets, and where you share an ice cream with your loved one on an ancient piazza as dramatic scenes pass you by on the streets. There is no better way to celebrate romance than to spend a few days at some of the most romantic hotels in Rome, where you can enjoy views over the ancient city and its monuments, hold hands over candlelit dinners and share relaxing couple massages at a luxurious spa. Hotel Hassler has some elegant rooms that offer lovely views of the Spanish Steps and dazzling night views of the Trinita Dei Monti. Rooms are fitted with plush contemporary and classical furnishings. If the rooms aren’t romantic enough, guests will love to head to the lounge for a drink while a pianist plays in the background. The concierge at the hotel is attentive, friendly and eager to show guests the way to museums, guides, romantic dinners and offer their suggestions for a beautiful Roman holiday. The hotel has a rooftop garden which offers lovely views of the historic city, where you can catch a stunning sunset. Couples can also enjoy treatments at the spa, and beautiful views from the sauna. The Michelin 1 star restaurant Imago will complement any holiday with its panoramic views, excellent service and sumptuous Mediterranean menus. 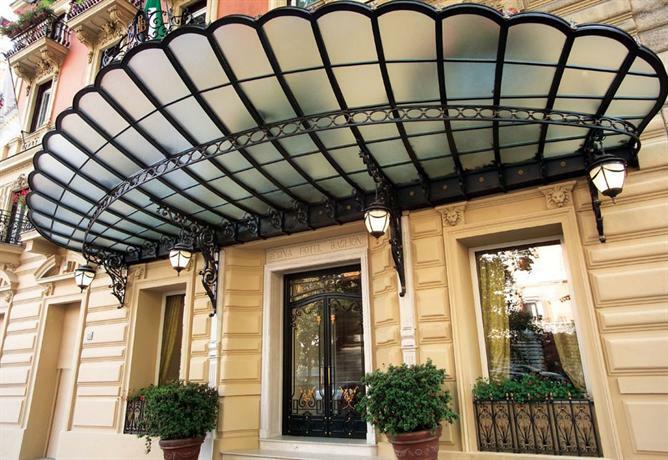 The Rocco Forte Hotel De Russie is an intimate boutique hotel set in beautiful gardens and close to the Spanish Steps. The comfort at the hotel goes deep, with great attention to detail from the staff and concierge. The décor is sophisticated classic and contemporary, with some Mediterranean decorative elements. Terraces look out over the hotel gardens, where you can enjoy meals at the Le Jardin De Russie restaurant in good weather. After a day of exploring Rome’s exquisite architecture, you can enjoy some indulgence at the spa with its Turkish bath, sauna and salt-water hydromassage pool. Couples will love the beauty treatments and massages that are available on the menu. The hotel is located in Spagna, which makes it an excellent place to explore shopping for famous international brands, walks in the city and fine dining. If staying at a 19th-century nobleman’s house-turned-hotel is your idea of a romantic getaway, reserve a room at the First Luxury Art Hotel. 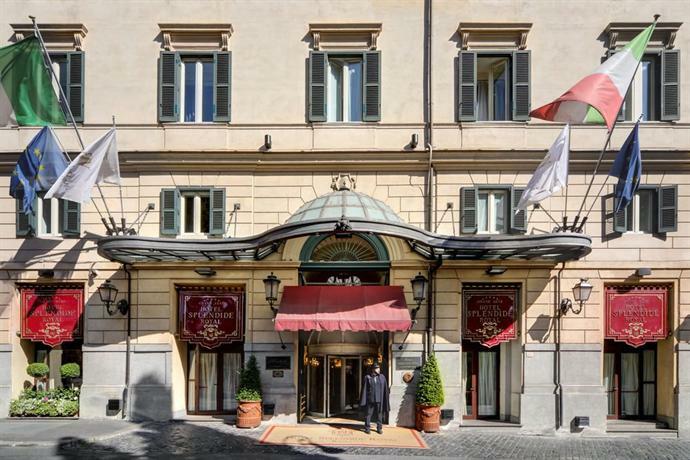 This five-star luxury boutique property is a short walk away from the Spanish Steps, Piazza del Popolo and Via del Corso. Despite its central location, the hotel and rooms are quiet. The rooms are decorated in a warm, contemporary style with comfortable furnishings. You can opt for a suite with a rooftop Jacuzzi for a special occasion. The elegance of the rooms and suites, the excellent service of the staff and the stunning views from the rooftop bar make The First Luxury Art Hotel one of Rome’s most romantic hotels. Rooms in the Rome Marriott Grand Hotel Flora have minimalist modern décor that oozes quality and enviable views of St Peters Basilica and other iconic sights. The Borghese Garden is a short walk away, as are the Spanish Steps and the Trevi Fountains. This hotel is where the famous La Dolce Vita was filmed. The rooms are spacious, and rooftop dining is available with lauded service and menu. The staff is attentive, and there are several local restaurants nearby where you can enjoy people watching with your loved one. The hotel has a solarium where you can relax in the hot tub after a day of exploring or shopping. The staff will be happy to guide you to the best sites of Via Veneto and its flamboyant, romantic heart. Many couples use the Flora Rooftop terrace for wedding receptions and other romantic celebrations. Palazzo Manfredi offers rare views over the Colosseum from the rooms and the Aroma restaurant. The hotel also offers views of the Domus Aurea and the Forum. It has a history too since it stands on the ruins of the gymnasium that the gladiators used, called the Ludus Magnus. Guests at the hotel can expect intimate rooms and personalised service. The hotel can arrange anniversary cakes and boxes of chocolates for you to celebrate your special day. 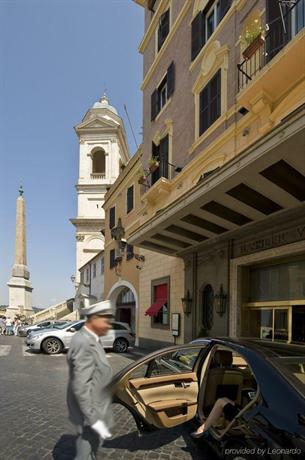 Enjoy the hotel’s Rolls Royce limo transfer service, prepare a surprise of roses for your loved one, join a private guide for a tour of Rome, and the services of a dedicated sommelier to recommend wines to go with your dinner. The hotel also has spa and wellness options where you can enjoy treatments and access to spa facilities. The small luxury hotel Splendide Royal is located close to the beautiful gardens of the Villa Borghese and the lively Via Veneto. It is a nineteenth-century palace that has been fully renovated with luxurious décor and fittings. The rooms and suites ooze elegance, and some have terraces that look out onto charming gardens. The restaurant at the hotel offers fine Italian dining by celebrated chef Bruno Borghesi, that is perfect to enjoy on a romantic date. The hotel is decorated in ornate Baroque style, with gilt mirrors, marble floors, Murano glass chandeliers, oil paintings and other sumptuous elements that make this one of Rome’s most romantic hotels. 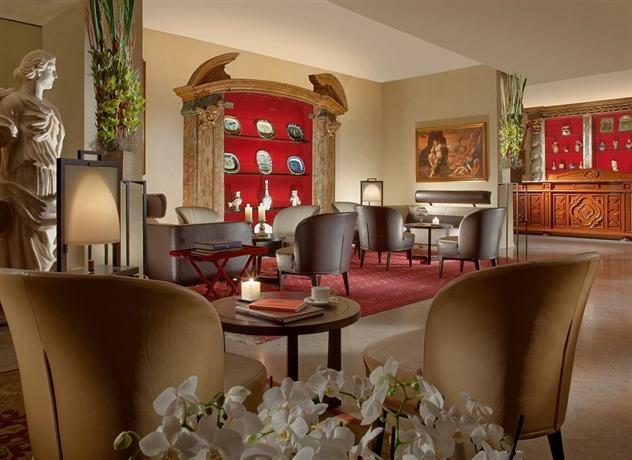 If you’re eager to please your senses with a visit to the Borghese Gallery and its luscious art collection, you’d probably enjoy the extension of luxury that the Hotel Splendide will give you just a few minutes away. 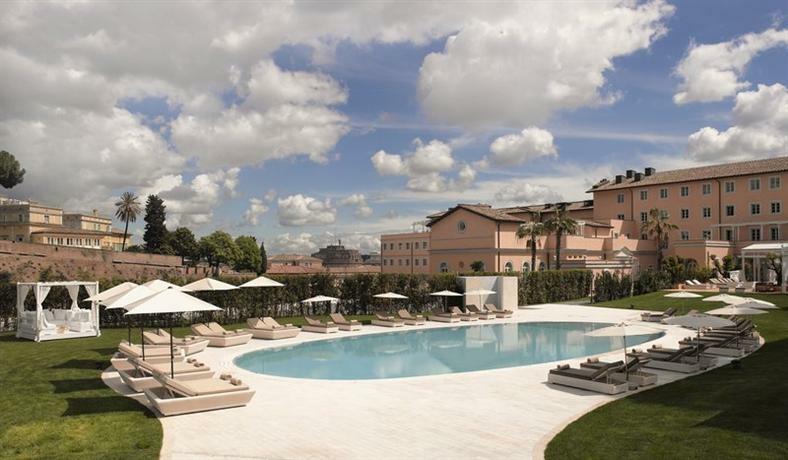 Gran Melia Rome is a beautiful hotel set on lovely grounds with manicured lawns, on a hill by the banks of the Tiber river. The hotel offers lovely views of the Vatican. Also, the Piazza Navona and Campo de Fiori are a fifteen-minute walk away. There is an outdoor swimming pool where you can bask in the sun in fine weather. The spa, My Blend by Clarins, offers guests relaxation and pampering treatments through massages and facials. You can also indulge in relaxation at the Turkish bath, sauna, sensory shower and lounges. The rooms have a minimal, sophisticated wood and beige themes, with classic artwork on the walls and modern furniture. You can enjoy a grand buffet breakfast, which includes local products and cold dishes, and an aperitif by the pool. To complete your romantic Roman getaway, you can enjoy a delicious Italian dinner and local wines at the on-site restaurant. This charming boutique hotel overlooks the Spanish steps, but the rooms are quiet. The 1800s building has walls thick enough to drown out the sounds of the city as soon as you enter the hotel. The rooms at the hotel are located on the third and fourth floors, charming, and many look directly onto the Spanish Steps. 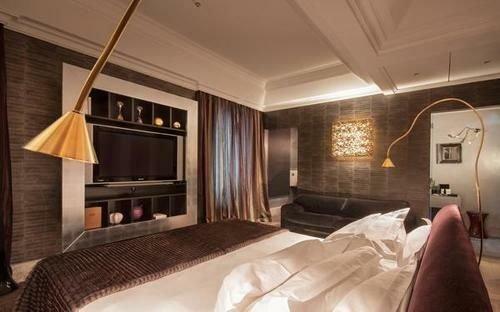 The rooms and suites have been done up in beige and wooden tones, making them warm, cosy and refined. You can enjoy cocktails on the panoramic terraces. The concierge at the hotel helps guests with everything they need, such as with spa treatments, restaurants or shopping. One of the reasons the area is popular is because of shopping, with top brands like Louis Vuitton, Gucci and Cartier nearby. The Il Palazzetto is particularly popular with couples because of its excellent fitness centre and the spa and wellness centre. 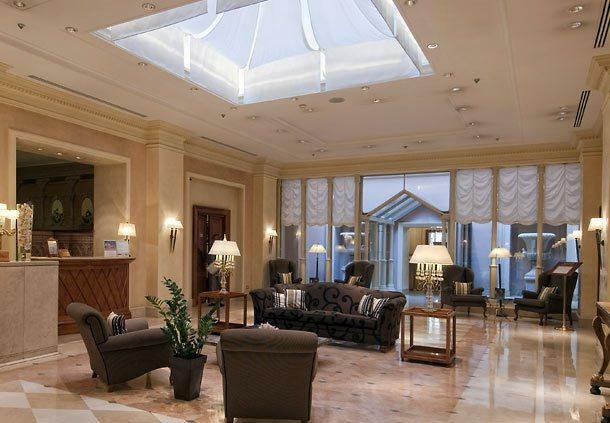 If you want to escape the hordes of tourists at the centre of Rome, the Rome Cavalieri is the place to stay. Guests find the hotel hard to find fault with, set as it is in large gardens on a hill, overlooking Rome and the Vatican. 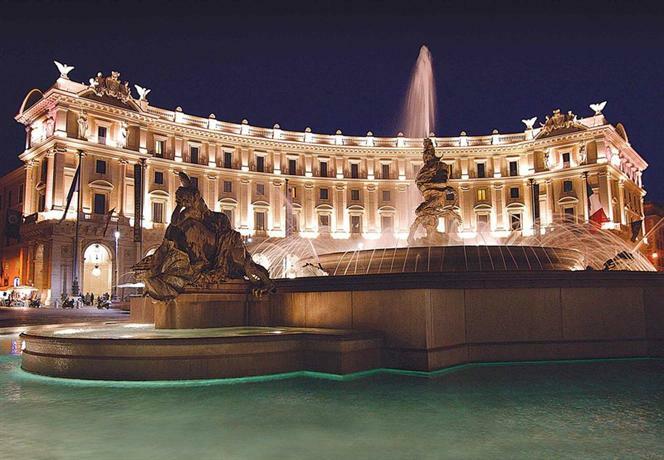 The hotel has large, luxurious rooms with balconies that either overlooks historic Rome or the Mediterranean gardens. The rooms are fitted with marble bathrooms, antique furniture, paintings and tapestries that add to the luxury. Couples will particularly like the wellness centre that includes an indoor swimming pool by a fireplace, a Turkish bath and saunas. You could play tennis on a clay court, run the 800-meter fitness trail or workout at the Technogym to look and feel great on your romantic Roman vacation. 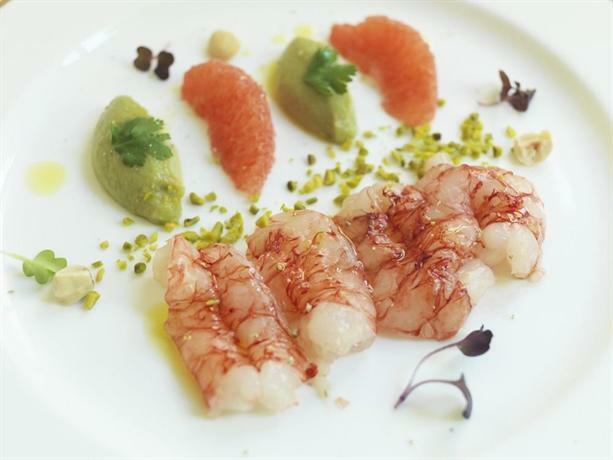 Later, you can dine at the 3 Michelin star rooftop restaurant La Pergola or the poolside terrace of L’Uliveto. Hotel Indigo Rome is located very close to all the sights in central Rome, but it is an oasis of peace and luxury. The rooms have a light and airy contemporary décor and plush furnishings. Couples will love the rooftop terrace with its organic Roman cuisine. The hotel has an excellent spa and wellness centre, with a spa bath, a Turkish bath and a sauna. The concierge service is well-praised for being professional, friendly and helpful in locating the best places to visit in the area. You can enjoy a massage as well to relax at the end of your sightseeing. The fitness centre is a great place to keep in shape as you enjoy a romantic getaway in Rome. Couples love the hotel for its location, which is close to Piazza Navona, and the lively Trastevere district. 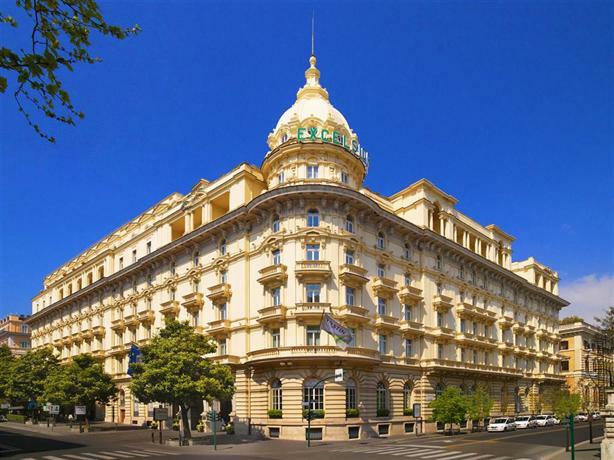 Baglioni Hotel is old and storied. It carries the romance of famous writers, artists and actors that met in the hotel during the Dolce Vita period. It is very close to the Galleria Borghese museum, where you can enjoy art by Caravaggio, works by Peter Paul Rubens, Raphael and others. Also nearby are the Spanish Steps and the famous shops of the Via Condotti. You can walk in from these iconic Roman sites right into the calm and quiet of your Baglioni hotel room at the end of your day. The rooms are tastefully decorated in classy, contemporary Art Deco style. The common areas are marbled, with opulent elements such as silk tapestries and Murano chandeliers – the hotel once used to be the home of Queen Margherita of Savoy while she was waiting for her residence at Villa Margherita to be completed. Baglioni Hotel Regina has a sauna, hot tub and hammam at the fitness centre. You can also enjoy a massage with your loved one. The Brunello Lounge and Restaurant offers Italian cuisine. 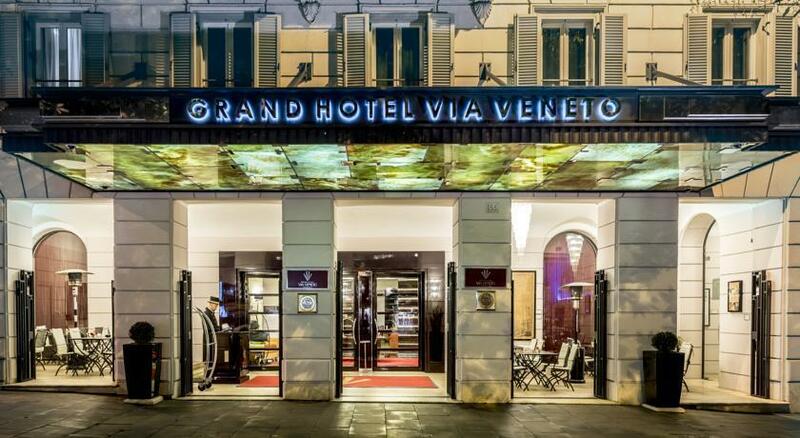 The shops of Via Veneto are within a few steps of this beautiful Art Deco hotel. The warm and comfortable rooms of the Grand Hotel Via Veneto are fitted with delicate tones of beige and wood. The reception is exceptionally welcoming and friendly, and you can enjoy personalised check-in when you arrive. There are no car parking hassles since you can park right around the hotel. There is a Michelin star restaurant on-site, so you don’t ever have to leave. But if you do want some variety, there are plenty of good restaurants nearby. The bathrooms are fitted with rainfall showers and carry luxurious Bvlgari bath products. Expect a luxurious stay at the Grand Hotel via Veneto with your loved one, and enjoy indulgence for your body and mind at the AQVA City Spa with its marble fittings, colour therapy, aromatherapy and vapours. Hotel Raphael is a beautiful hotel with its walls covered in ivy. It is very close to St. Peter’s Basilica and the Pantheon, which makes it an excellent place to stay on your romantic holiday in Rome. The hotel features first-class elegance in its rooms and bathrooms, which are fitted with marble and carry Bvlgari toiletries. 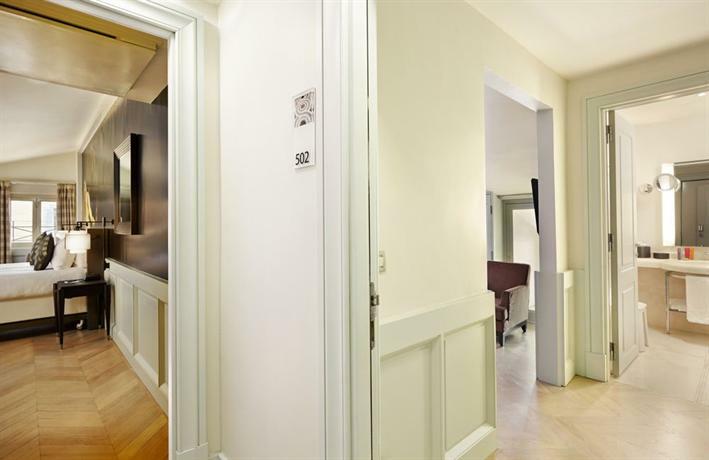 The parquetry on some floors will remind you of the old style that Hotel Raphael has managed to revive. Some of the rooms have been designed by Richard Meier and offer Bose entertainment systems. You can wake up to room service or a sumptuous buffet breakfast at the hotel. In beautiful weather, you can dine at the rooftop restaurant La Terrazza Bramante while the sun sets. You can enjoy lovely views of the Pantheon, the basilica and other iconic sights of Rome from the roof. 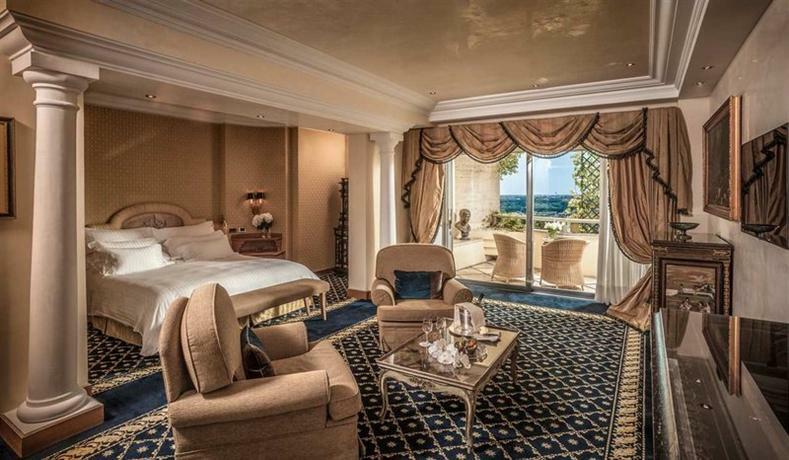 This 5-star hotel used to be a 19th-century palace, and it oozes luxury and beauty. The hotel boasts one of the most extensive terraces in Rome, from where you can look down on central Rome by an open-air pool. The Colosseum, Trevi Fountain, the Spanish Steps and other attractions are a short distance away. The hotel is built partly over the ancient ruins of the Thermal Baths of Diocletian. The interiors are refined and elegant, with considerable attention to detail. The Exedra Fusion Spa will give you and your loved one a sensory treat through a variety of ancient and modern wellness treatments. The Westin Excelsior is yet another palace converted to a hotel, with a beautiful dome and cupola that towers over the city. The Via Veneto, Spanish Steps and Borghese Gardens are nearby. Spacious bedrooms and suites with lovely views from the terrace, custom plush furnishings and fabrics, professional and friendly staff that works hard to make guests feel special are all part of the hotel’s USP for couples. There is a 300 sq. meter wellness centre with an indoor swimming pool, a gym and a hot tub to relax in after sightseeing. 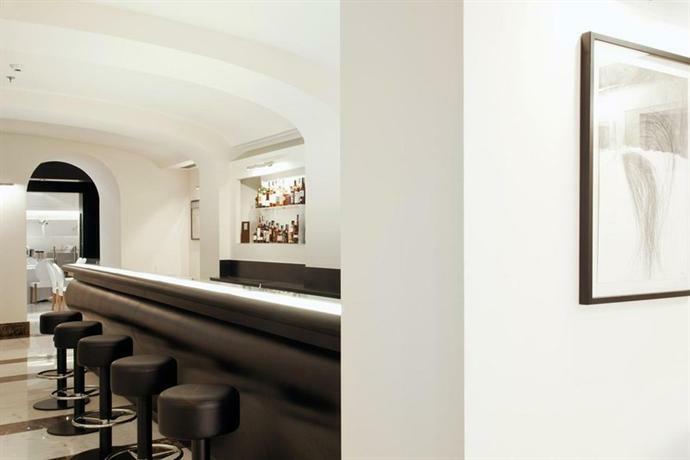 Several lounge bars and restaurants nearby will complete your perfect stay in Rome.